Welcome to Sri Lanka! Airport arrival transfer and remainder of the day at leisure. 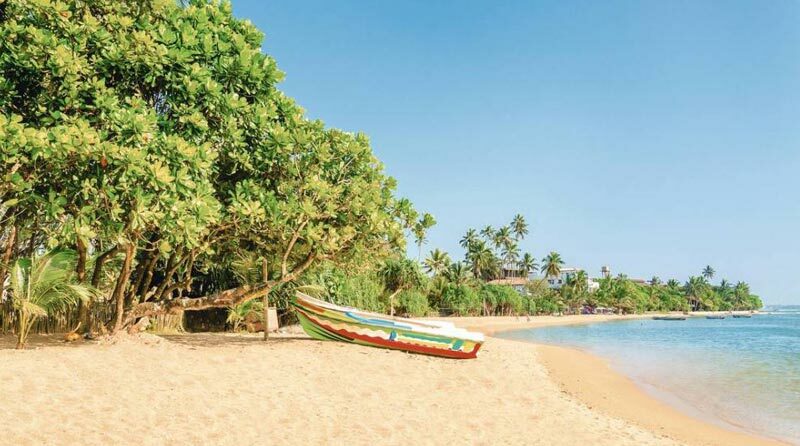 Our start hotel located on the seafront is a short walk from Galle Road and many of the city highlights. 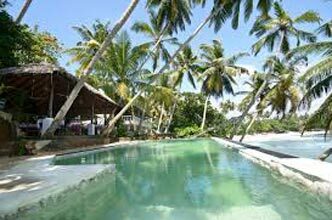 Choose to head out and explore, take a dip in the pool or enjoy a cocktail whilst you watch the perfect sunset over the Laccodive Sea. Colombo - Dambulla - Sigiriya. Today we leave the capital and travel to Sigiriya. On the way we stop at a local market before arriving at one of Sri Lanka’s most impressive cave temples, the Dambulla Rock Temple. This stunning complex of 5 caves contains over 150 images of Buddha including an impressive 14 metre statue carved out of the cave rock. The iconic Sigiriya Rock Fortress is our final stop today. Rising 200 metres out of the jungle undergrowth, this impressive citadel is surrounded by a moat and extensive manicured gardens. The summit is reached via a steep staircase winding up the side of the rock and on the way up you can see the world-renowned frescos of the Heavenly Maidens. Sigiriya - Polonnaruwa - Kandy. This morning we explore the UNESCO World Heritage Site of Polonnaruwa, an ancient city that was once the second capital of Sri Lanka. Some of the key sights to see here include the ruins of the Royal Palace, the four statues of Buddha at Gal Viharaya, the Audience Hall and several famous places of worship such as the Shiva Temple and remains of the former Temple of the Tooth. From Polonnaruwa we continue our journey to the rural village of Kayanwala. We take a jeep ride along the village paths to a lake which we cross by canoe before arriving at a family home. Here we’ll take part in a cookery demonstration and enjoy a freshly prepared lunch of curry, dahl, spiced rice, pickle and more. Continuing our journey we make our way towards Kandy, stopping en route at a spice garden in Matale, before arriving in Kandy in the evening. Kandy - Nuwara Eliya. This morning offers free time before transfering to the railway station for a scenic train trip. Passing kilometre upon kilometre of verdant tea plantations that hug the winding mountain passes, we'll see waterfalls, suspension bridges and tea pickers on our journey up to Nuwara Eliya - Sri Lanka’s most popular hill resort. Nuwara Eliya is also the heart of Sri Lanka’s tea country producing a significant share of the world’s best tea. This afternoon we take a sightseeing tour of Nuwara Eliya on a beautiful drive through 'Little England'. Nuwara Eliya - Udawalawe National Park. Today we head south to Embilipitiya, our base for exploring Udawalawe National Park. This national park is probably one of the best places to spot the famous Sri Lankan Elephant, the biggest of all the Asian Elephants. It is thought that there are around 400 elephants here. The park is also home to the elusive leopard, the Sri Lankan Sloth Bear and lots of types of deer. We take an afternoon game drive here before returning to the hotel for the night. Udawalawe National Park - Yala National Park. This morning we depart for Yala National Park - the second largest national park in Sri Lanka. This afternoon we take a jeep safari of the park. The park also has one of the highest concentrations of Asian elephants in the world - and about 350 live here. 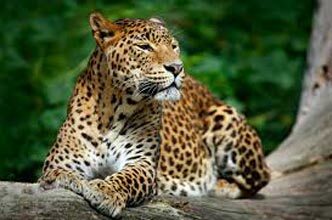 Also present are sloth bears, golden palm civets, Sri Lankan krait, crocodiles and some of the biggest numbers of leopards. The coastline around the park is visited by leatherback and loggerhead sea turtles. Yala National Park - Bundala National Park - Mirissa. This morning we depart Yala for coastal Bundala National Park. This fantastic labyrinth of waterways, dunes and lagoons is the home to thousands of brightly coloured birds from over 200 species. It is also home to the magnificent greater flamingo and has a decent amount of Asian elephants that call the park home. We take a jeep safari here before transferring later on to the coastal town of Mirissa for the night. Mirissa - Colombo. This morning, if travelling between 01 Nov - 31 May, its an early start as we transfer to the boat pier for our Whale and Dolphin Watching boat cruise (cost approx $35). During this time of year Fin Whales, Bryde's Whales, Sperm Whales, Blue Whales - the largest creatures on earth, Whale Sharks, Orcas and dolphins are very often seen just a few kilometres off Sri Lanka's southern coast. The round trip may last anywhere between 2 - 6 hours with an average of 4 hours depending on how far out at sea the mammals are located. If travelling between 01 Jun - 31 Oct the morning is spent visiting UNESCO World Heritage Listed Galle fortress - first constructed by the Portuguese in 1588, then expanded and extensively fortified by the Dutch during the 17th century. 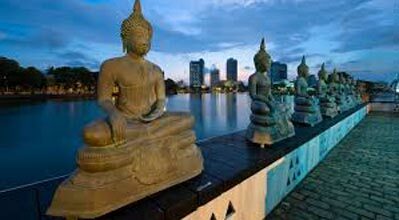 Next stop, is Colombo and the bustling city centre for a guided tour. We explore the Fort area in the north of the city, famous for its government buildings and interesting shops. Taking a stroll along Galle Face Green and watching locals play cricket before heading over to stunning Gangarama Temple. Monday. Our tour concludes today with an onward departure transfer to the airport. Destinations Covered : Colombo, Sigiriya, Kandy, Nuwara Eliya, ..